The countdown to March 1 has begun for basketball fans everywhere. This is not March Madness in the usual sense, but instead is a huge day for Bitcoin. We are a few short weeks from witnessing an NBA first: the Sacramento Kings accepting Bitcoin. Accepting Bitcoin supports the team owner’s business philosophy called “NBA 3.0,” which focuses on investments in technology, globalization and deep community partnerships. In addition to Bitcoin, the team is also experimenting with Google Glass and many other advancements based on the fan experience. The acceptance of Bitcoin brings the team one step closer to allowing fans to keep their wallets at home, which will eventually be a ticketless and cashless arena environment. 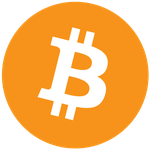 Each Bitcoin purchase will be processed through BitPay, a leading payment processor for virtual currencies. The partnership will enable the team to streamline the transaction process for event-goers, and will also enable the team to settle their funds in USD with zero chargebacks and low transaction fees. Unlike credit cards, which charge a percentage of the total sale, BitPay will charge a flat-rate transaction fee and enable the team to net more money on each transaction. Bitcoin will truly alter the fan experience by creating a fast and easy way for fans to make online and in-person payments without having to reach for their credit card or cash. “We are able to implement a technology that allows our fans to make Kings-related purchases without physically reaching into their wallets. A major tenet of the NBA 3.0 philosophy is about utilizing technology for the betterment of the fan experience, and this is yet another step in that process,” Ranadive said in a recent press release. The Sacramento Kings currently reside in the 19th largest market in the NBA, on the edge of Silicon Valley, an area filled with tech-savvy companies and leading innovators. “The city is plugged into a tech mind set to which Bitcoin appeals,” said Ranadive. 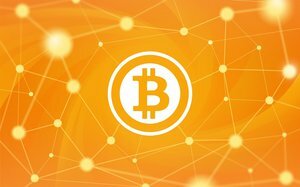 For the team, Bitcoin supports their technology-focused philosophy and will prove to enhance the fan experience. Fans can leave their wallet at home, enter the gate with an electronic ticket and complete purchases by simply scanning their Bitcoin wallet – creating an effortless experience. Through partnership with BitPay, the Kings will be able to save on processing fees and eliminate chargebacks, while providing an easy payment solution for fans. Bitcoin has a bright future in the live sports market, but will have to prove itself first. In less than a month, a new type of March Madness will be upon us, with the Sacramento Kings paving the way. When will your favorite team accept Bitcoin?